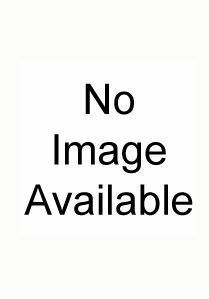 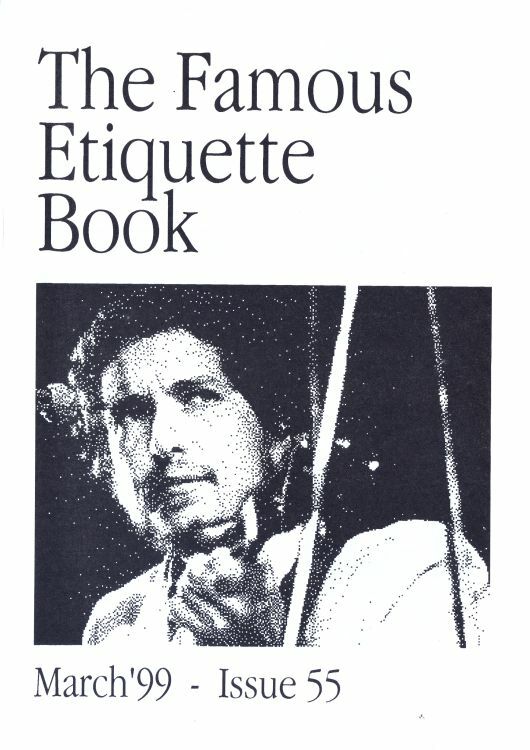 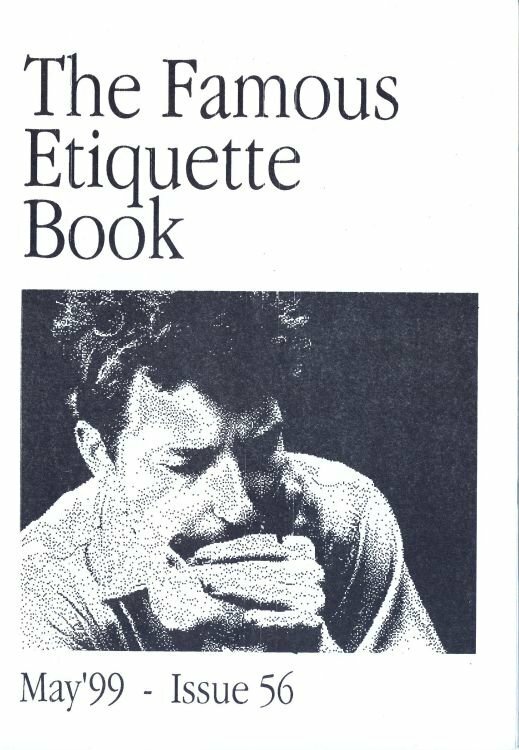 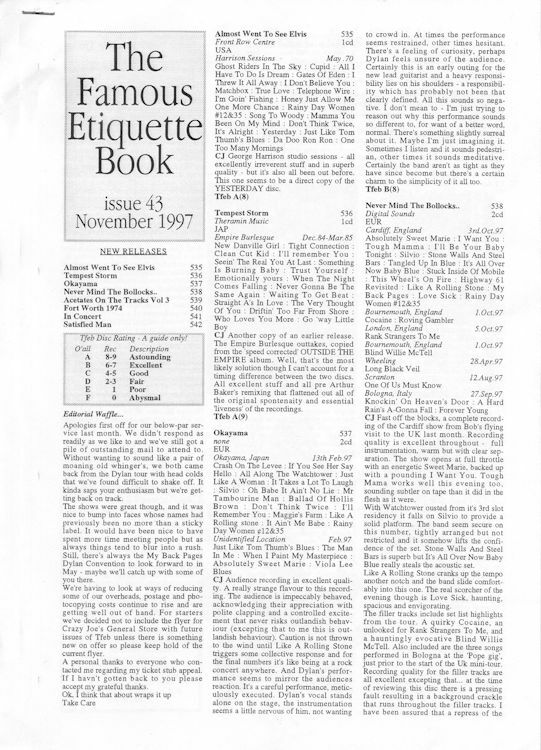 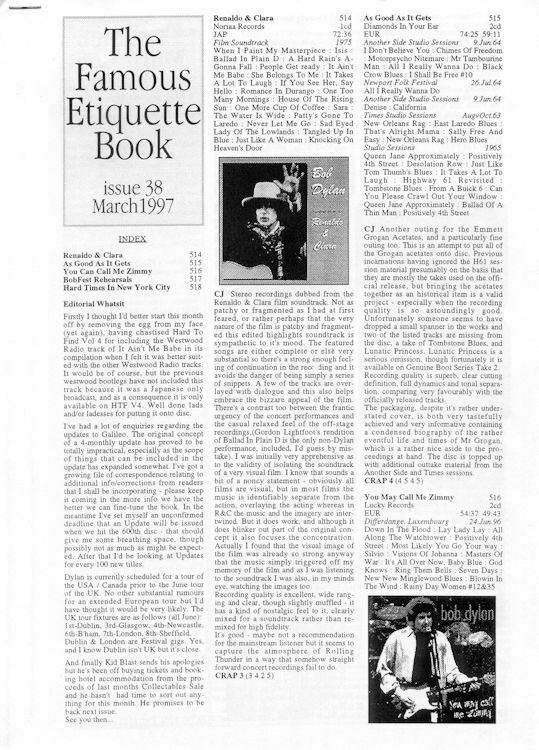 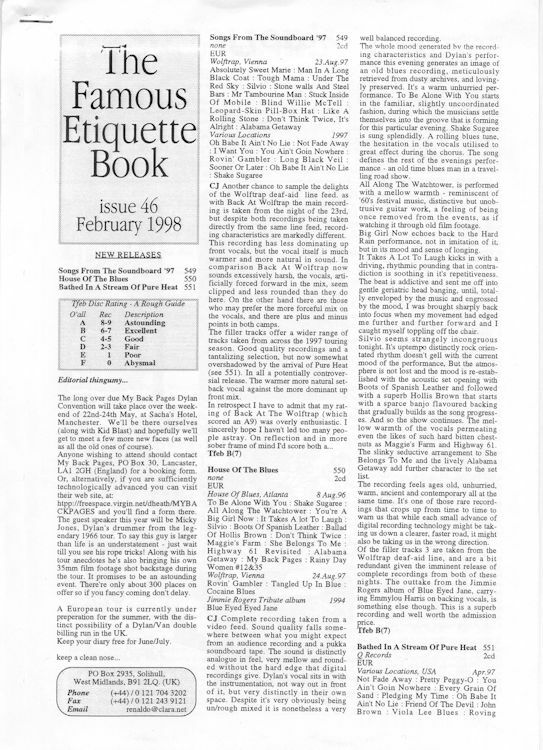 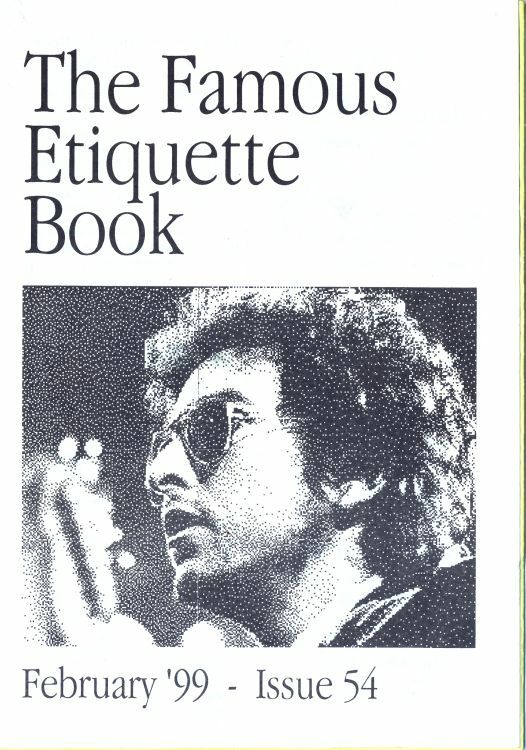 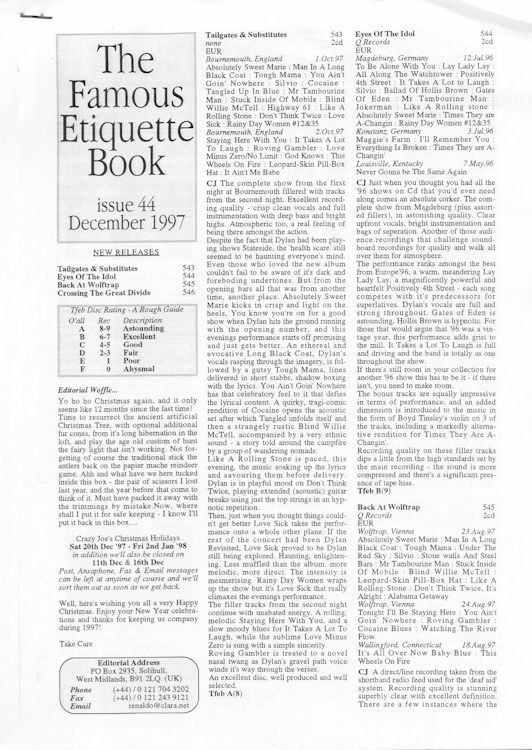 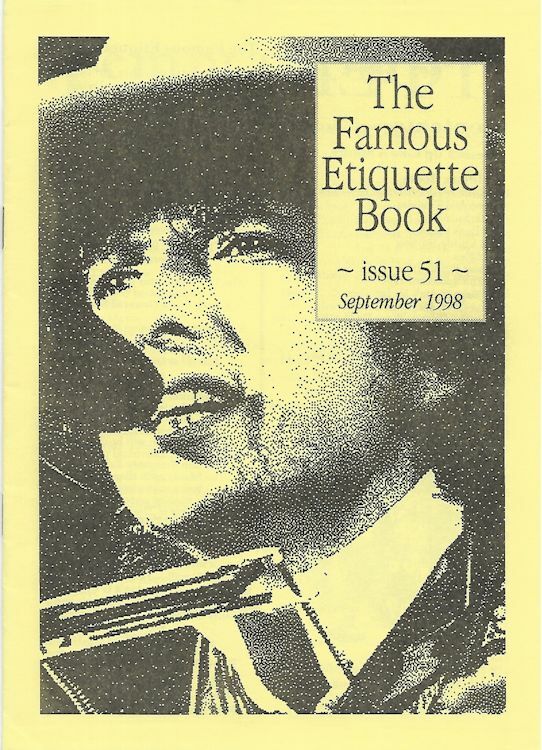 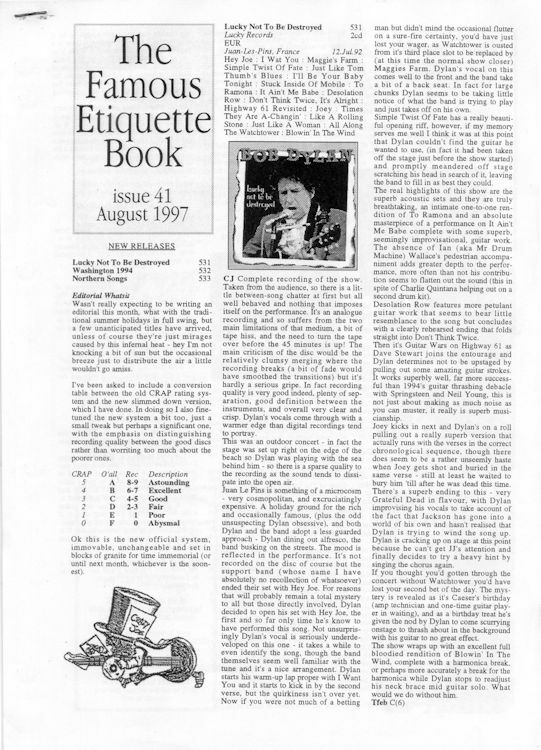 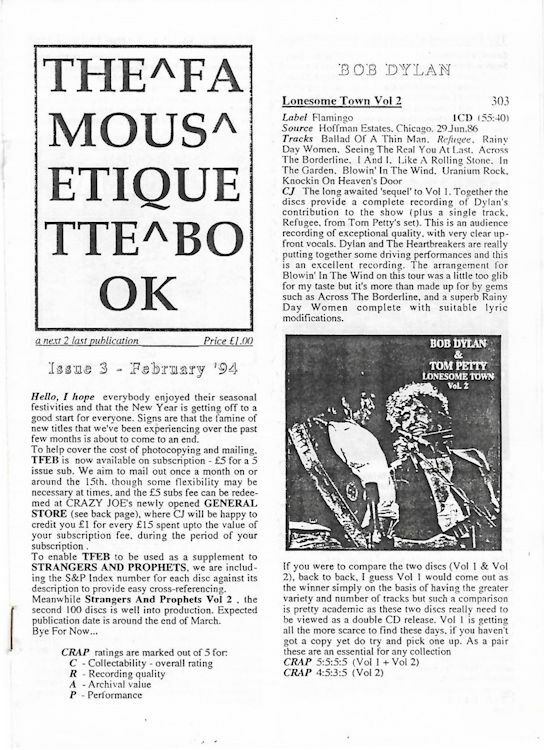 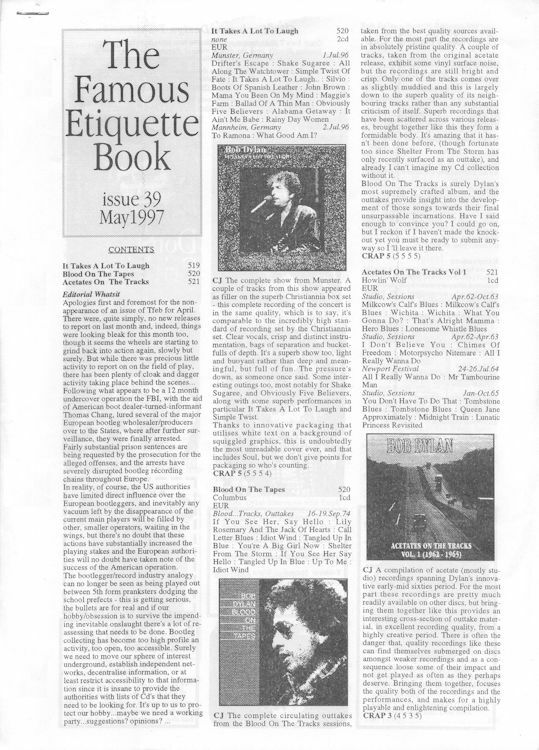 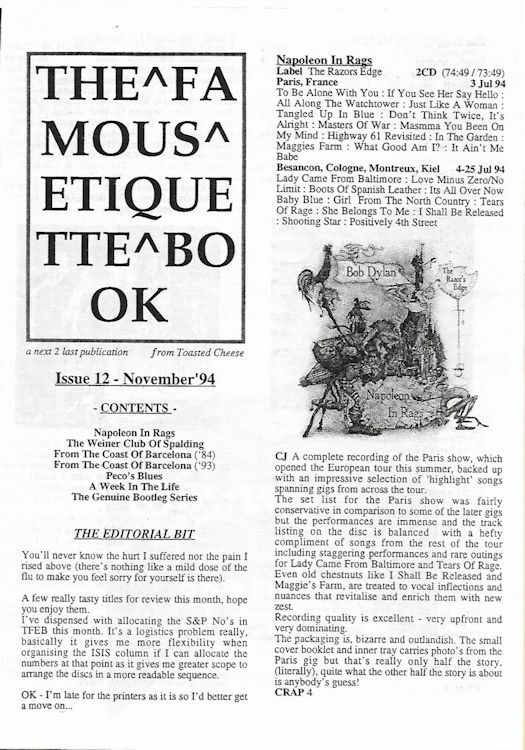 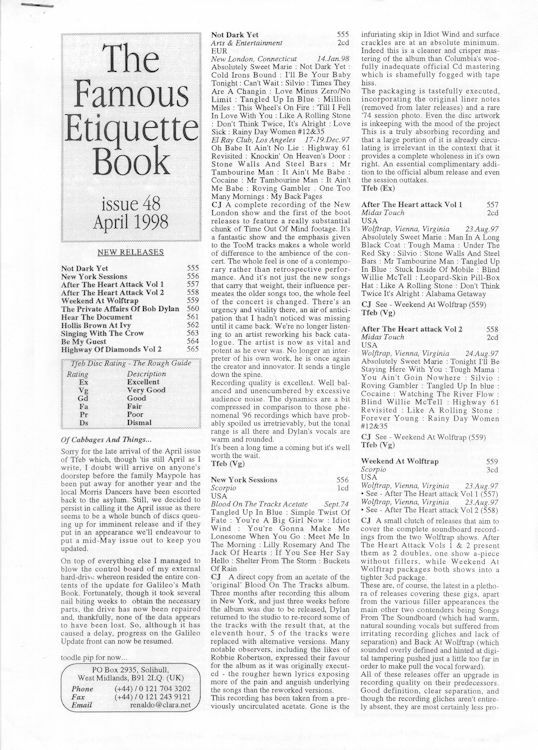 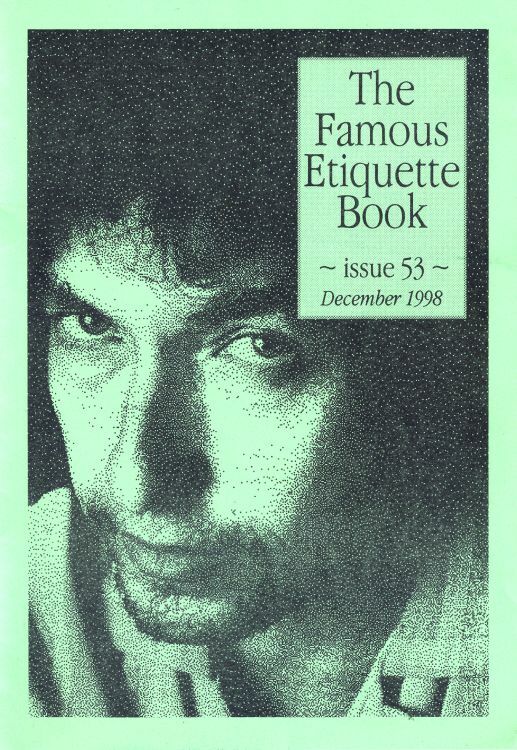 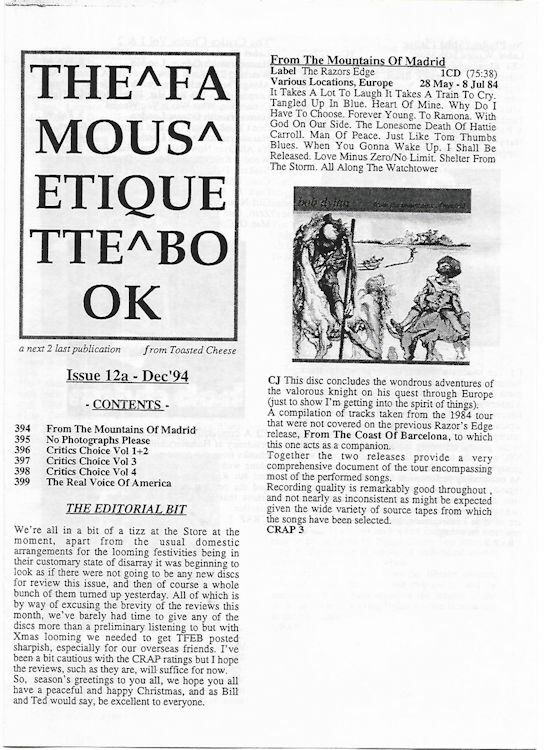 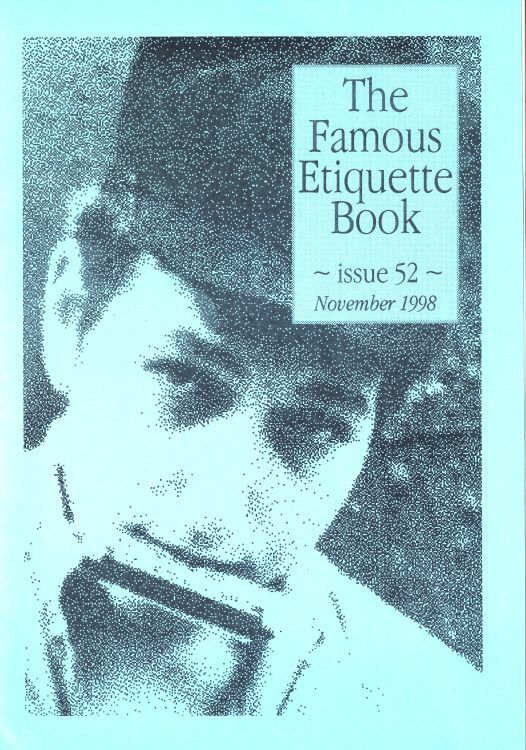 THE FAMOUS ETIQUETTE BOOK (UK). 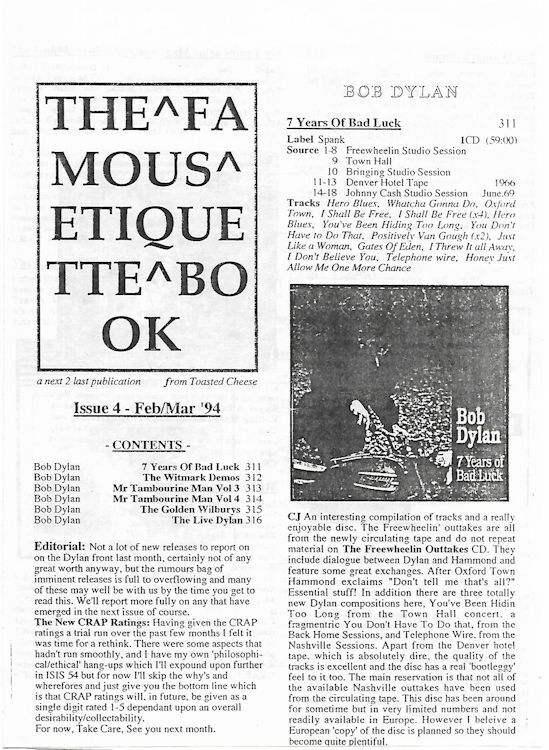 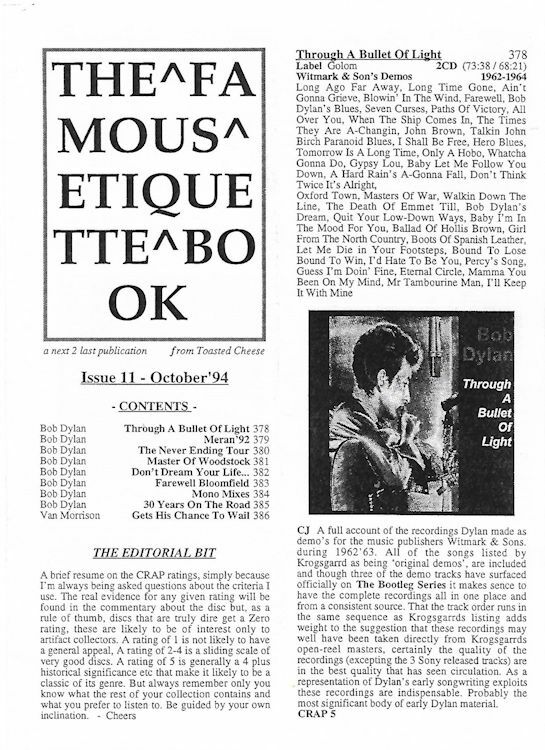 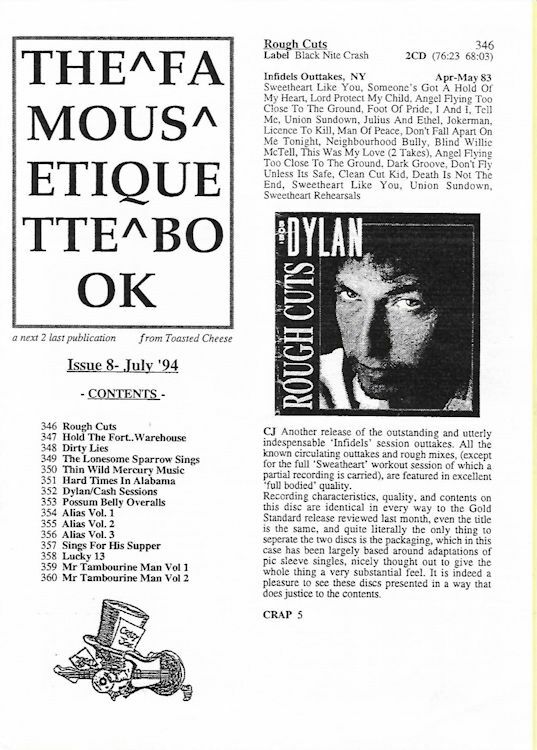 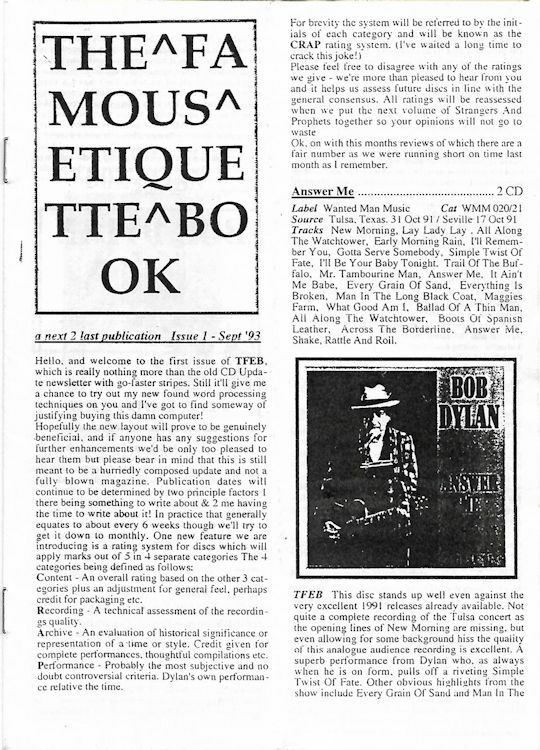 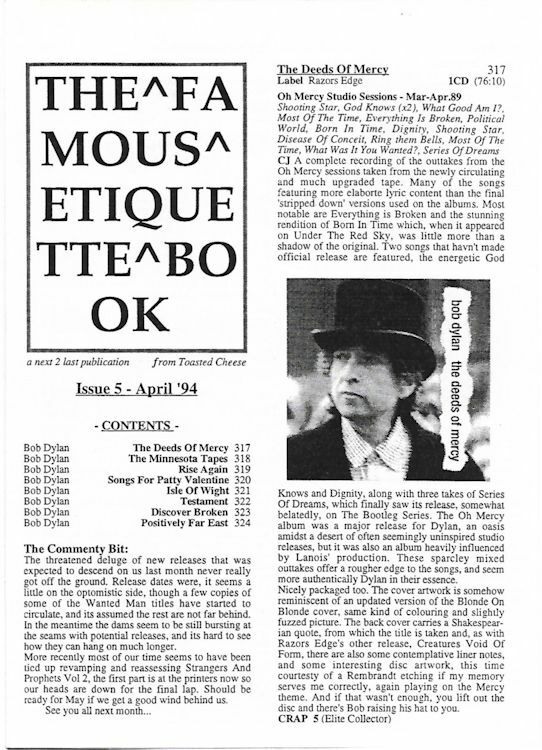 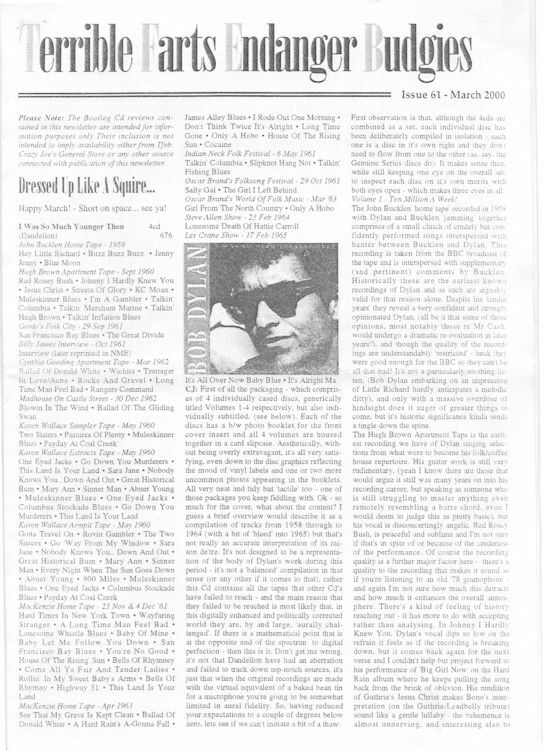 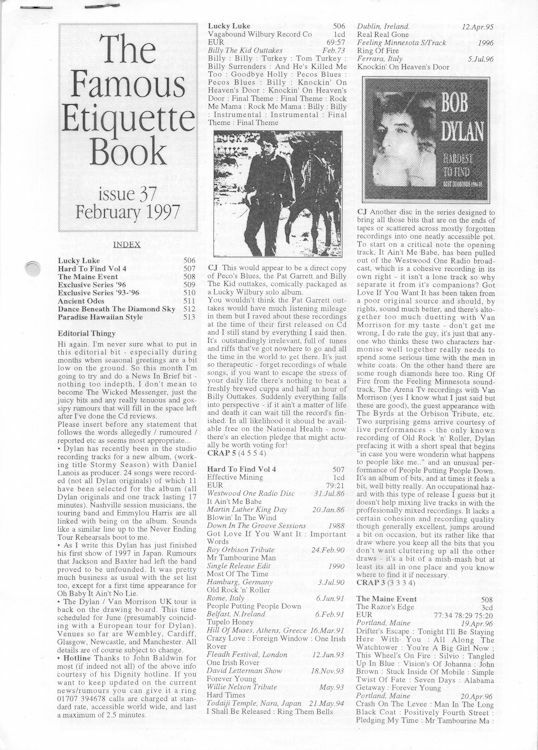 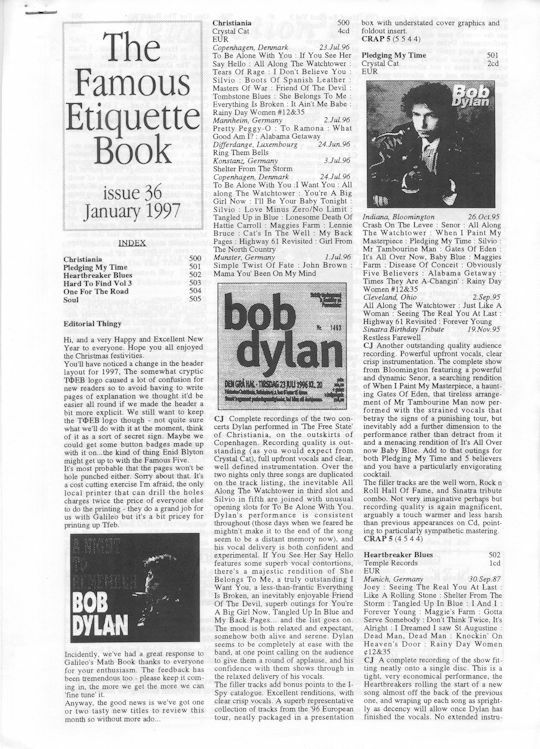 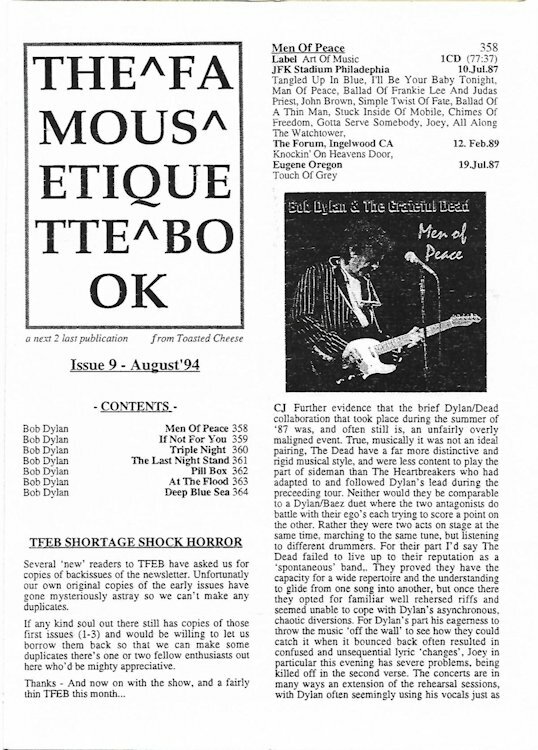 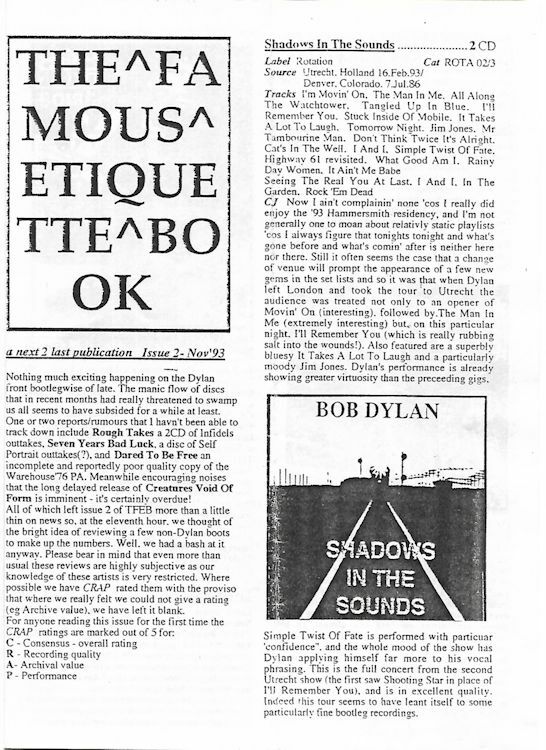 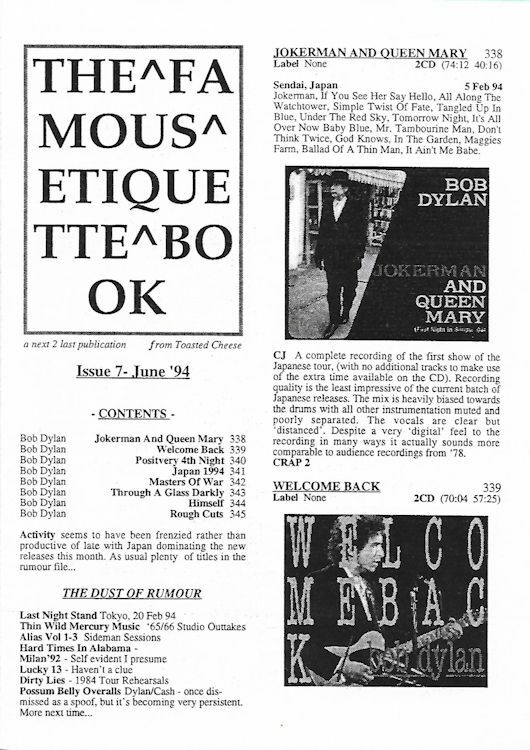 Editor Phill Townsend (Crazy Joe in ISIS) gave updates on Dylan CD boots as they became available. 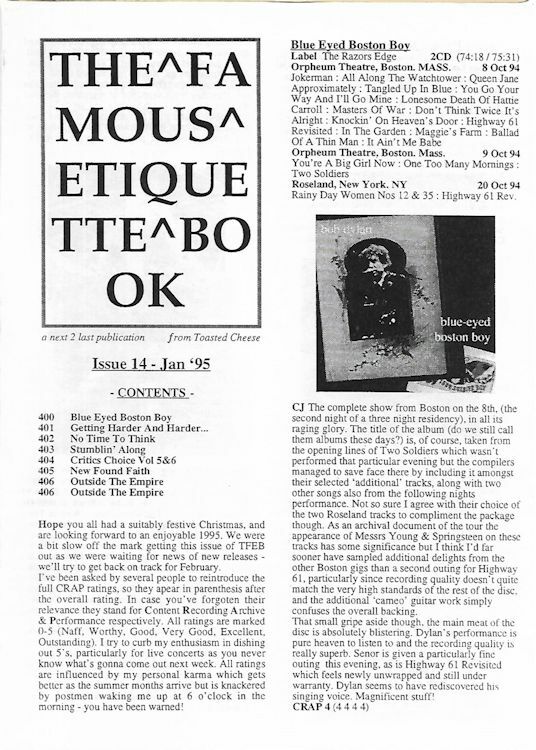 This information was later available in ISIS and SERIES OF DREAMS, and eventually in Townsend's book(s). 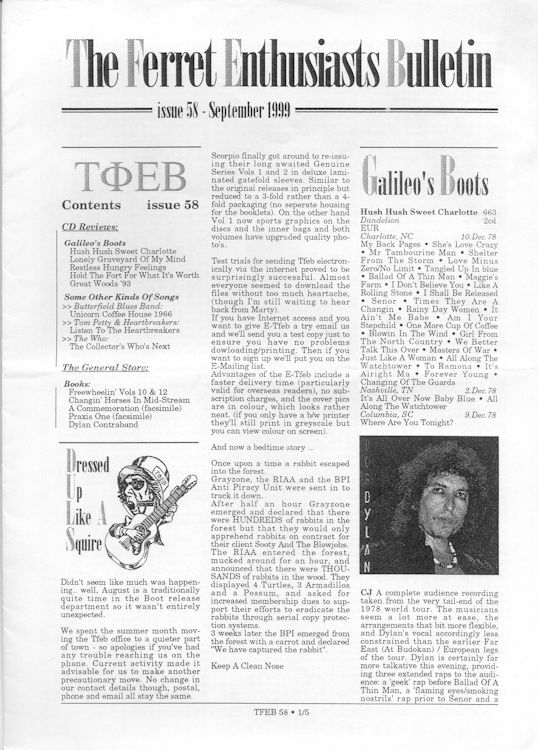 It changed several times through the years: #20 to #35 were called TΦEB, and each of the last issues (#58 to #63) had a different and fantasy title. 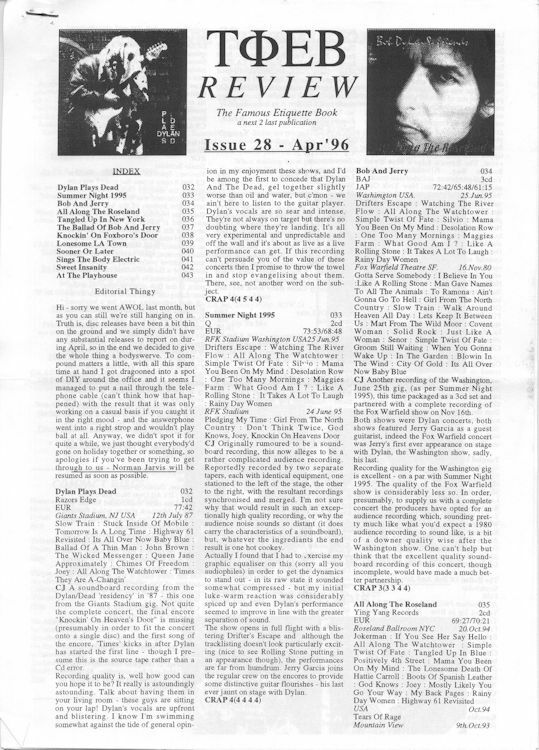 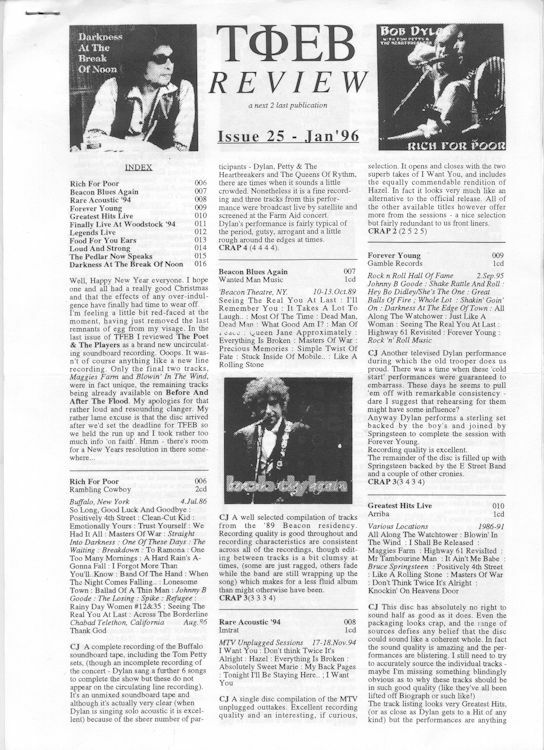 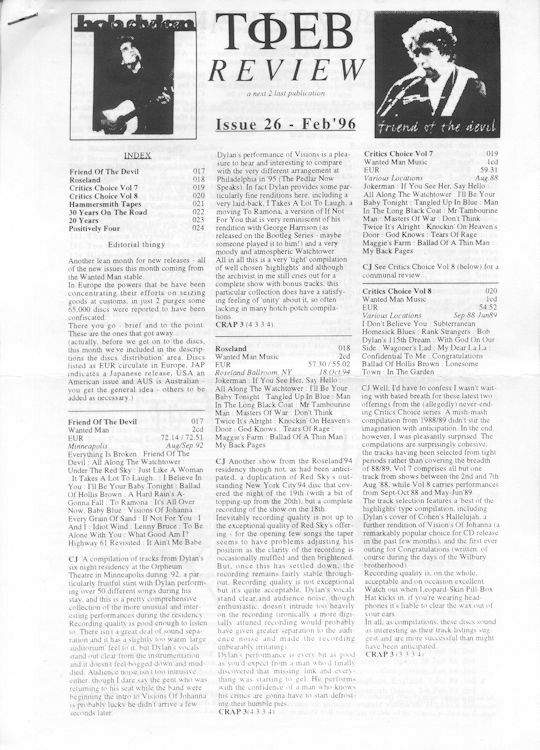 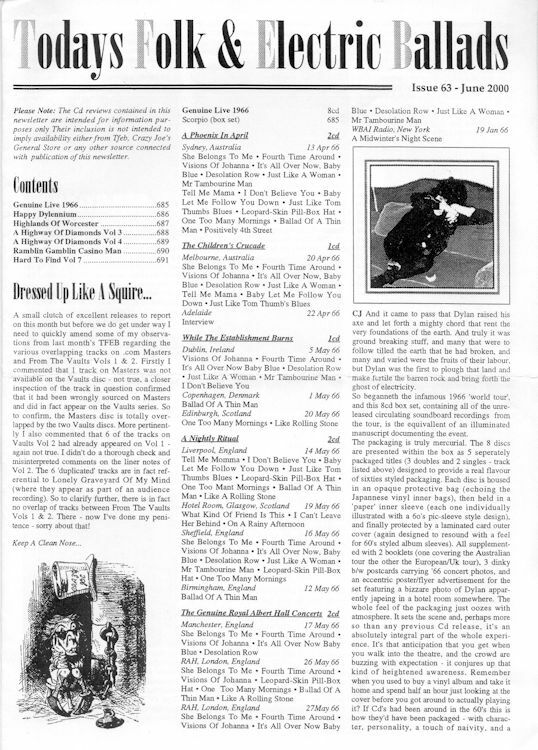 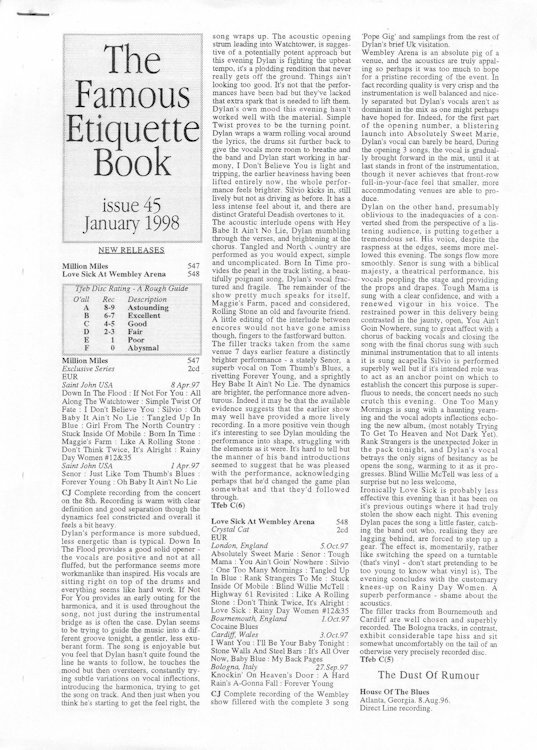 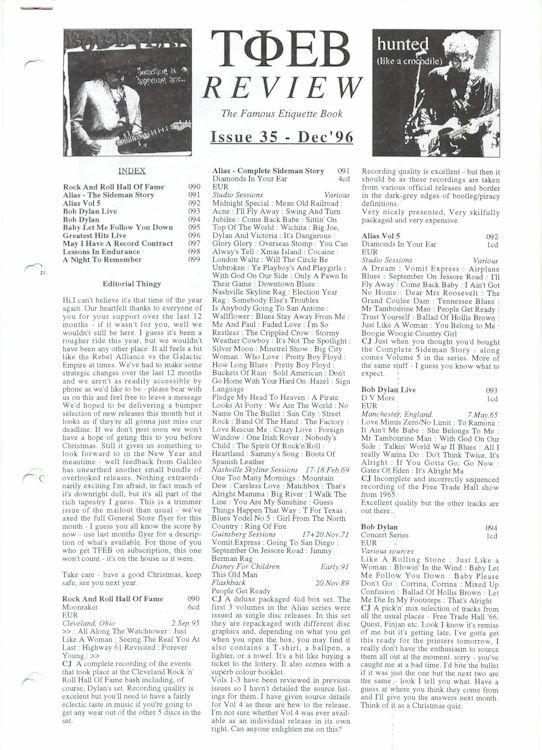 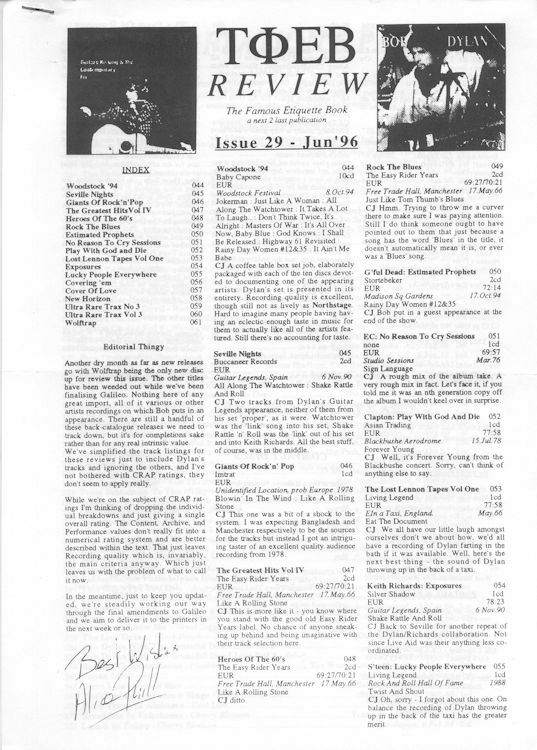 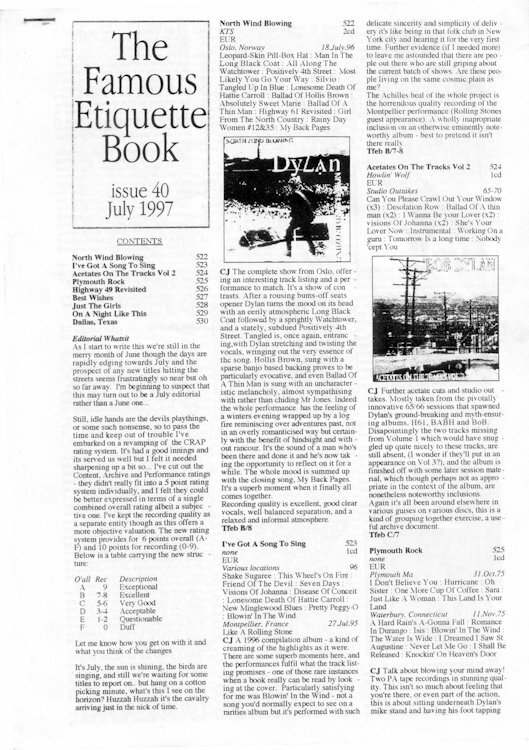 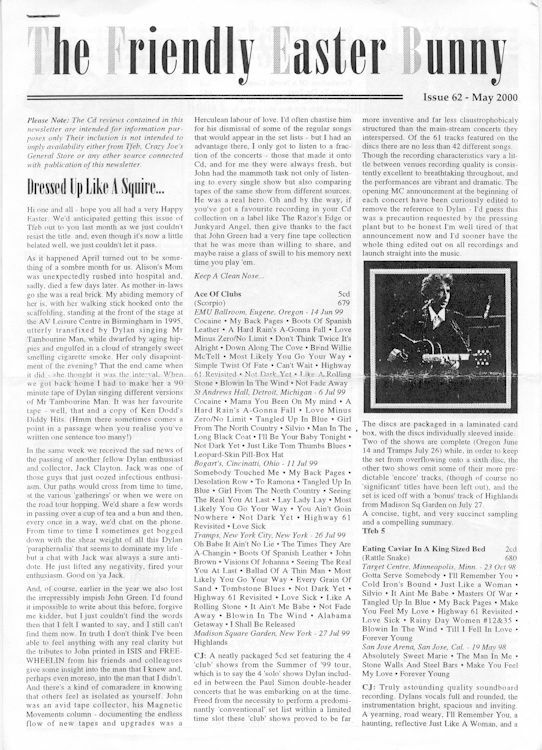 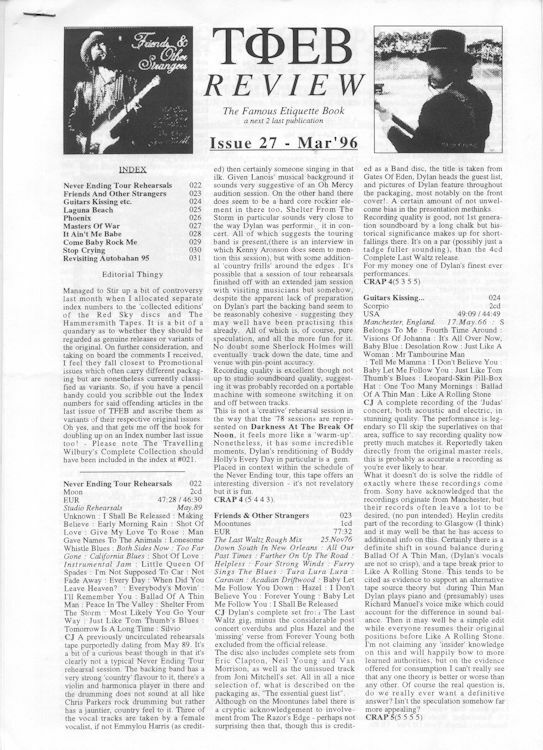 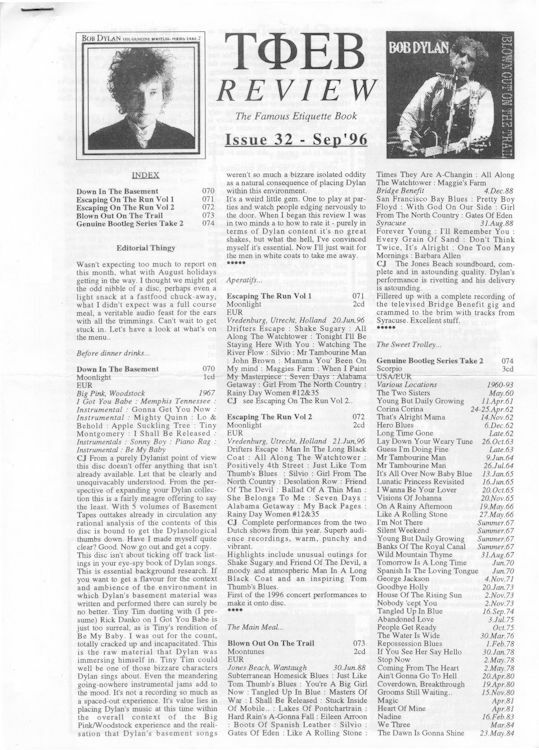 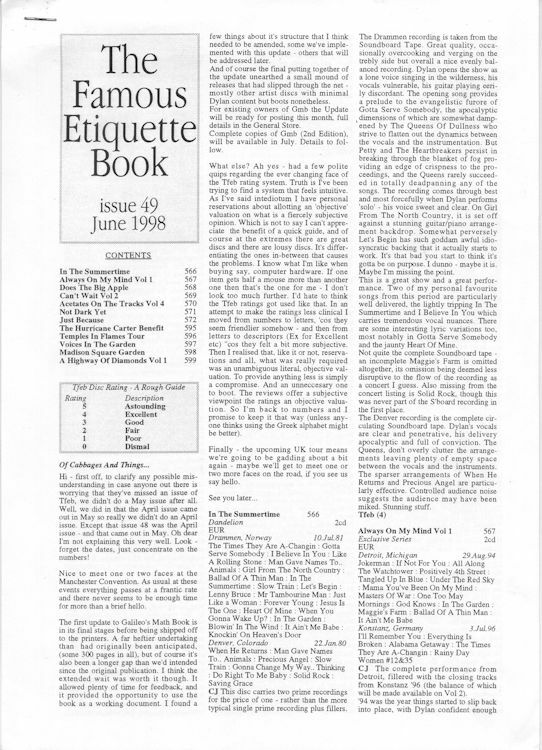 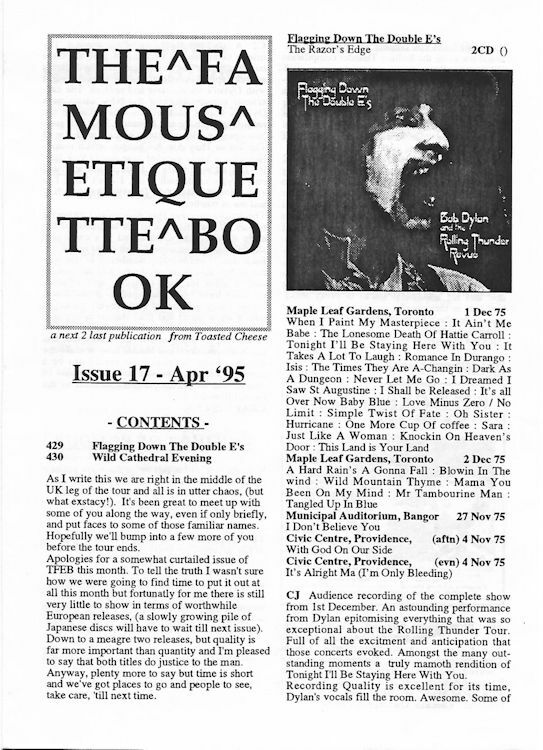 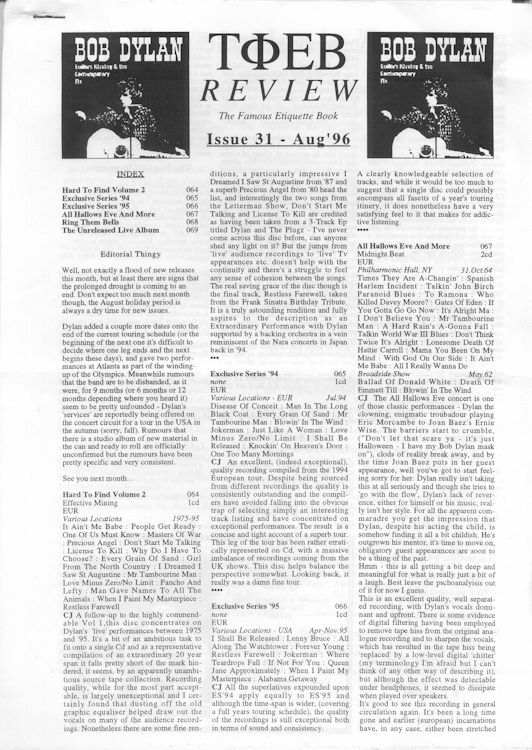 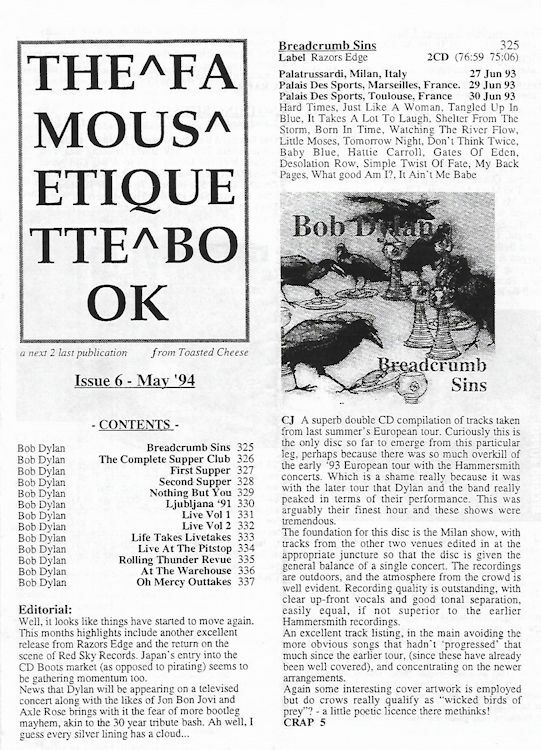 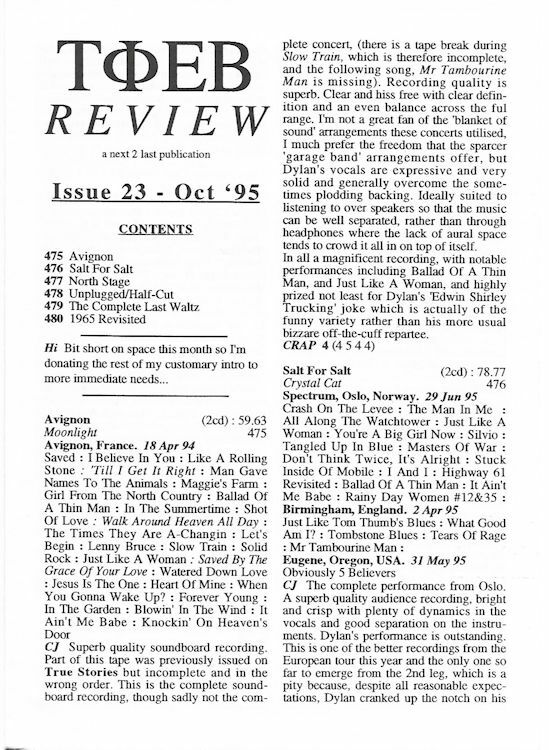 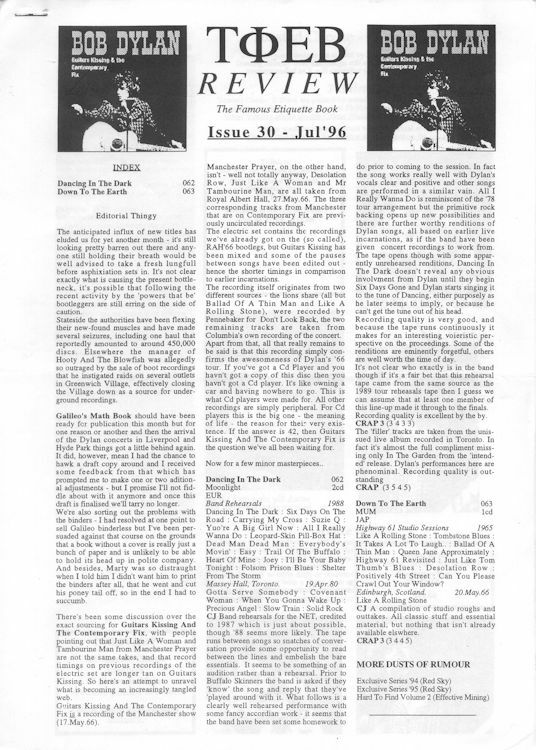 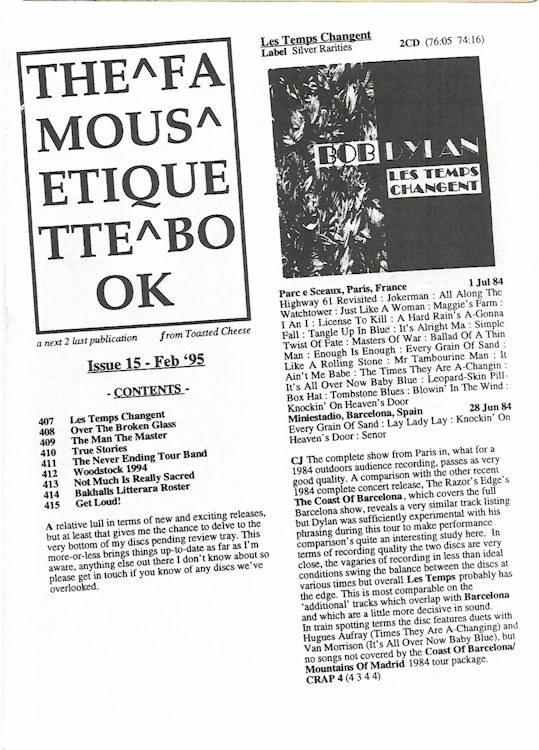 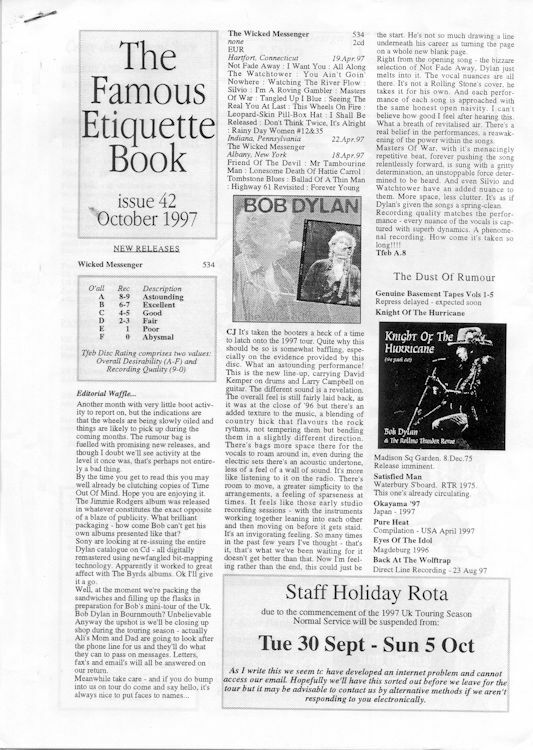 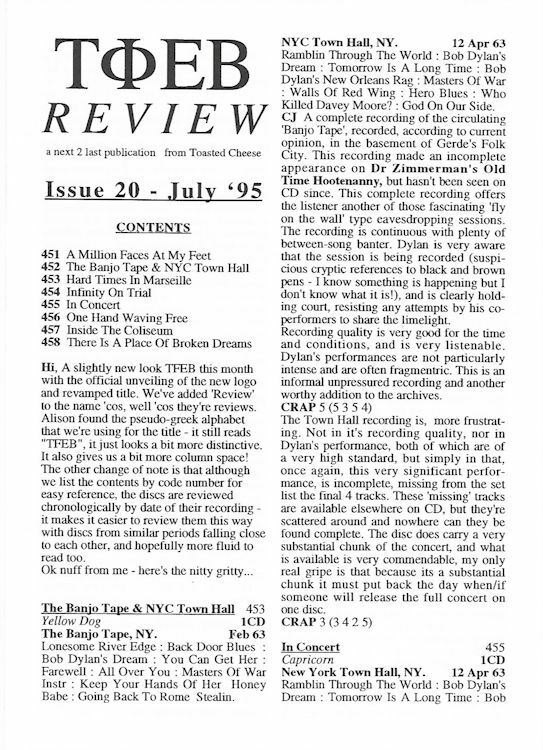 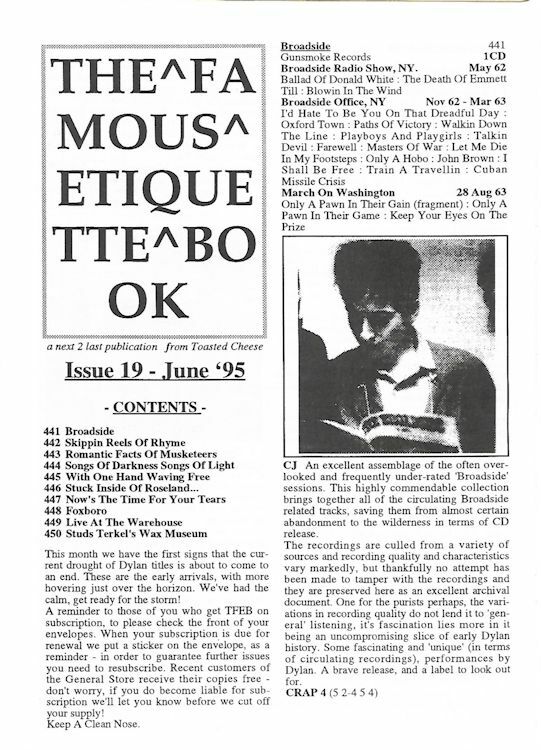 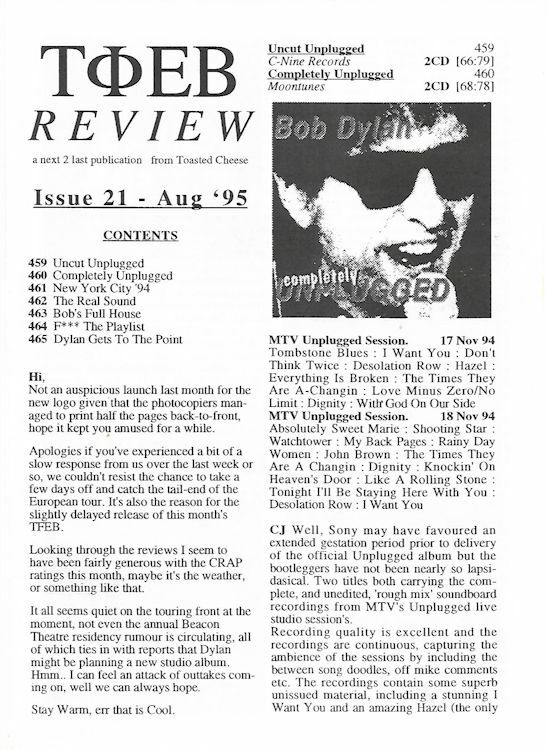 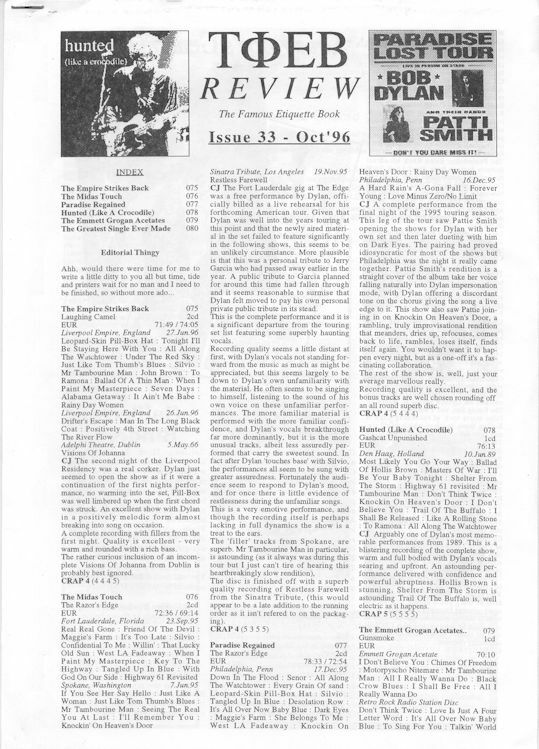 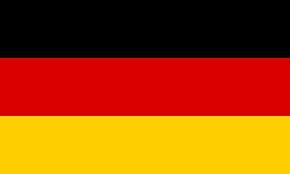 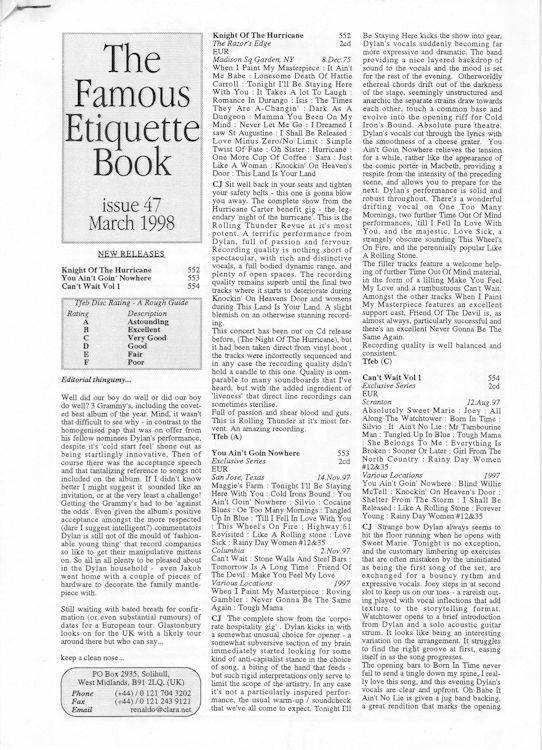 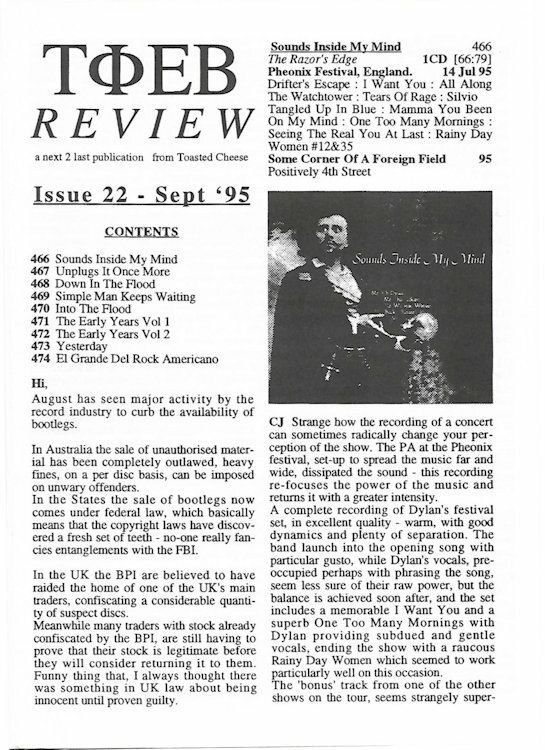 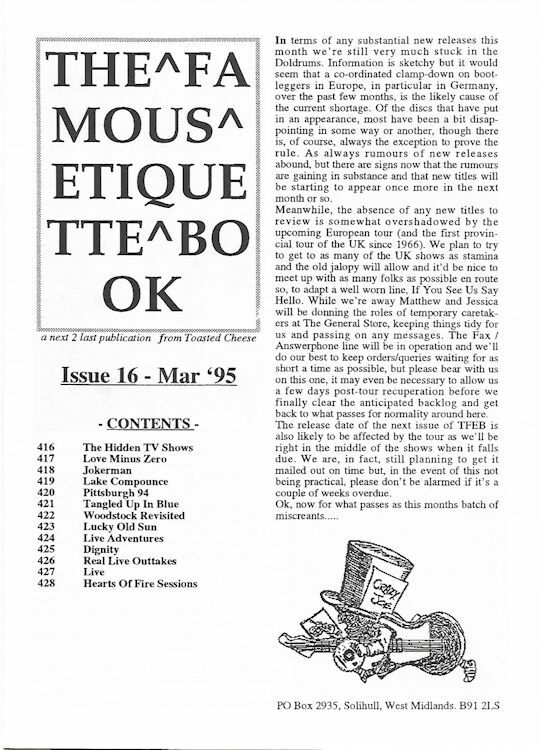 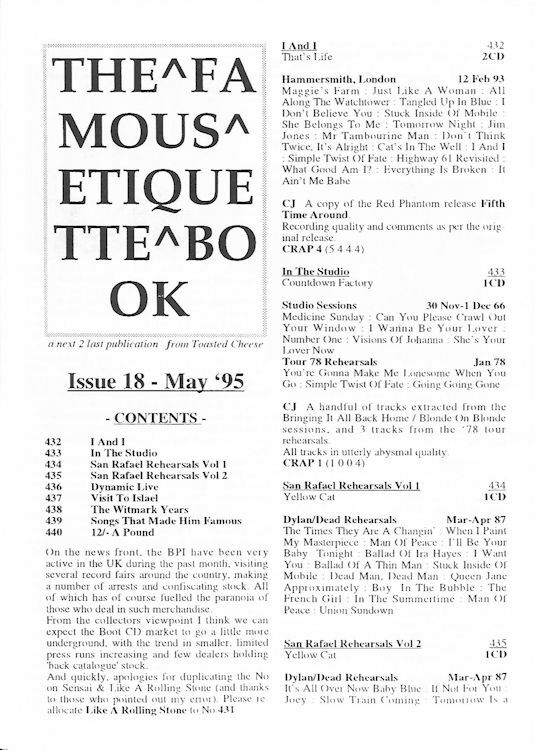 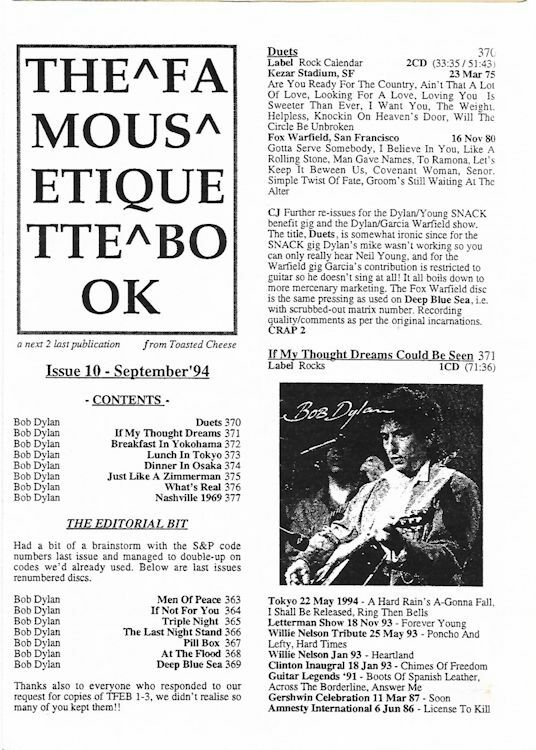 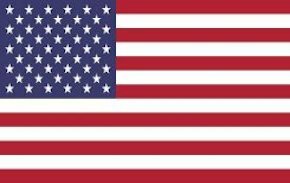 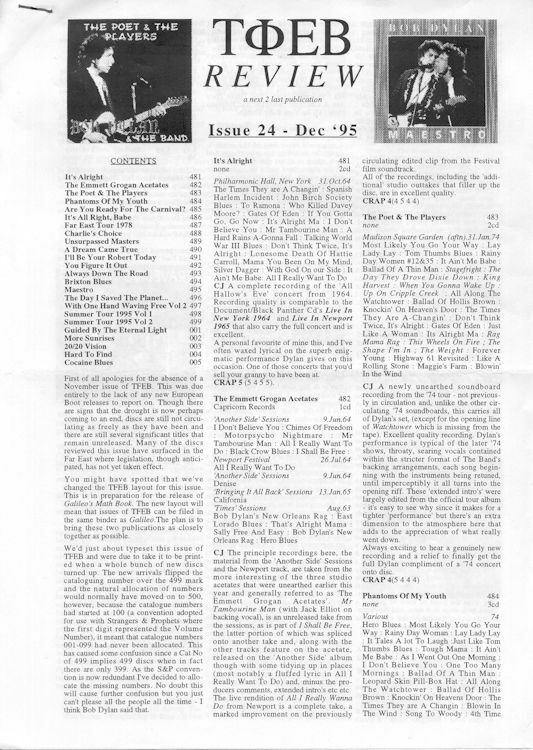 There were 63 issues from September 1993 to June 2000. 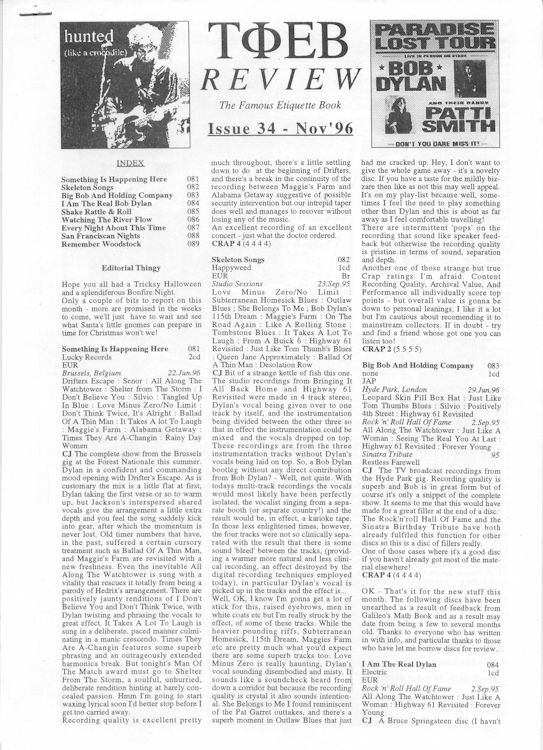 First 23 issues were A5 size, while issues #24 to #49 were A4 size; issues #50 to #56 went back to A5 size, and the final issues (#57 to #63) were A4 size again. 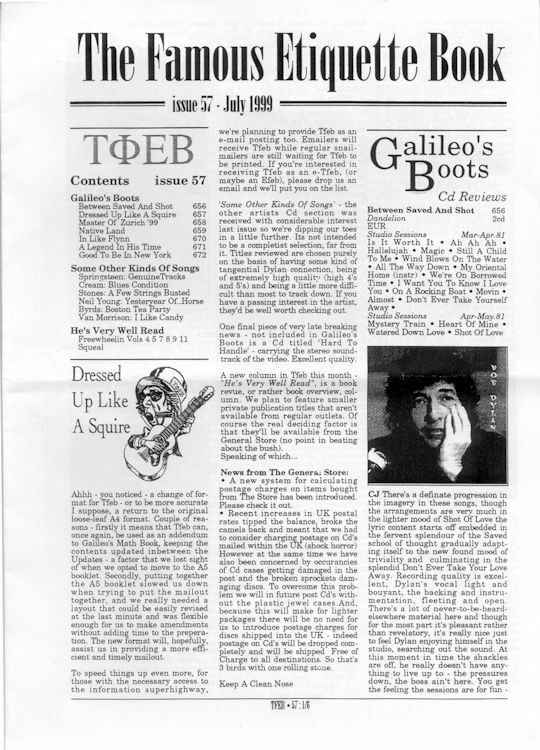 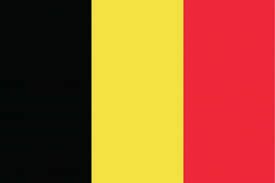 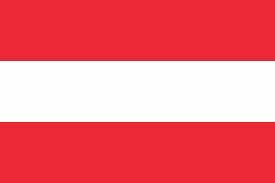 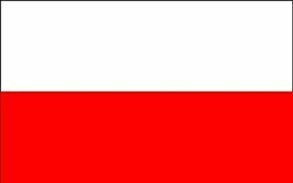 The thirteenth issue was called #12a. 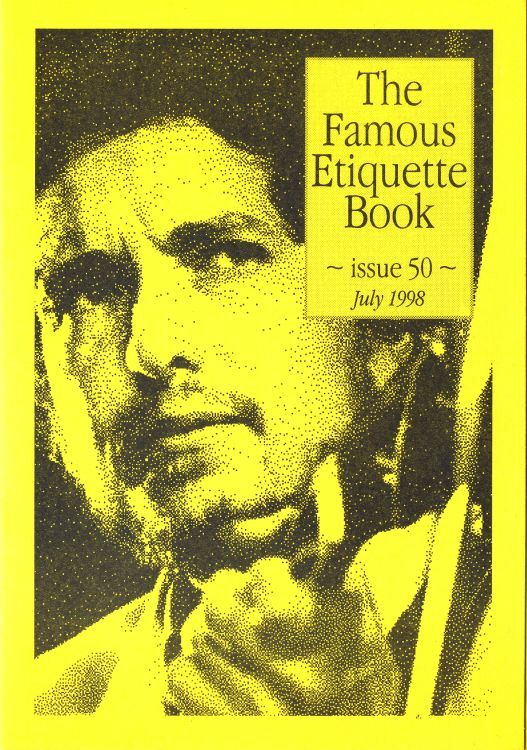 Only #50 to #53 had a colored cover.